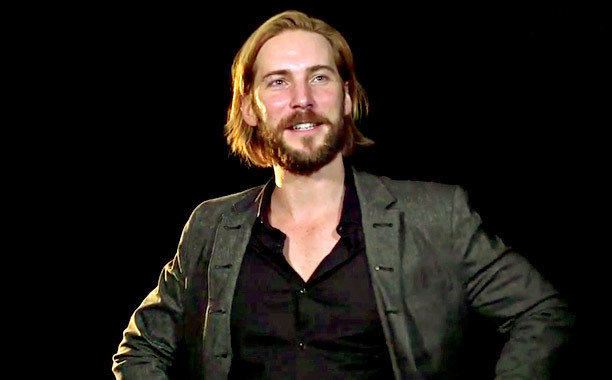 Voice Actor Troy Baker Dominates Nominations At 18th Annual D.I.C.E. Awards! Nominations for the 18th Annual D.I.C.E awards have been revealed, and critically acclaimed actor and musician, Troy Baker, looks to be set for a successful night. In the “Outstanding Character” category alone, 3 of the 5 nominations are for his performances including Pagan Min (Far Cry 4), Delsin Rowe (inFamous; Second Son), and Talion (Middle-Earth: Shadow of Mordor). In 2014, Troy solidified his reputation as one of the gaming industry’s most prolific actors, starring in many of D.I.C.E’s top nominated games. These games include Middle-Earth: Shadow of Mordor with a total of 9 nominations, including a nomination in the coveted “Game of the Year” category. Far Cry 4 received 7 nominations, Call of Duty: Advanced Warfare received 5 and inFamous Second Son received 4. In addition to his huge successes as a video game actor, in 2014 Troy released his debut album, Sitting In The Fire featuring the hit single My Religion. Sitting in the Fire is an eclectic offering of rock n’ roll that seamlessly blends the electronic and organic, revealing strong influences of early U2, INXS, Muse and Jeff Buckley. The album debuted at #26 on iTunes Alternative rock chart and #137 on the top 200. D.I.C.E is the prestigious peer-reviewed video game awards taking place at The Joint inside the Hard Rock Hotel and Casino in Las Vegas on February 5th. The ceremony will be streamed via Twitch at 7pmPT/ 10pmET. 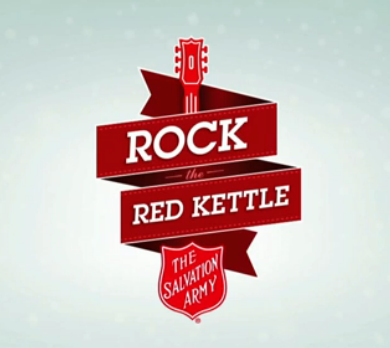 VIDEO: Miss The “Rock The Red Kettle” Live Stream Concert With R5, Becky G & More? Last evening, December 6th, The Salvation Army, a non-profit organization that helps those in need, presented an amazing “Rock The Red Kettle” live streaming concert at the L.A. Live. This concert was viewed live by concert goers and via the Internet. Their Red Kettle concert was rocked by amazing performances from some our favorite music sensations of this current generation. R5, Becky G, Bea Miller and Shawn Mendes happily took the stage in front of these audiences and sang their hearts out in honor of The Salvation Army. If you missed the live stream, you don’t have to worry. You can watch this entire 3 hour concert below or here! Remember to share your #RedKettleReason with the Salvation Army! 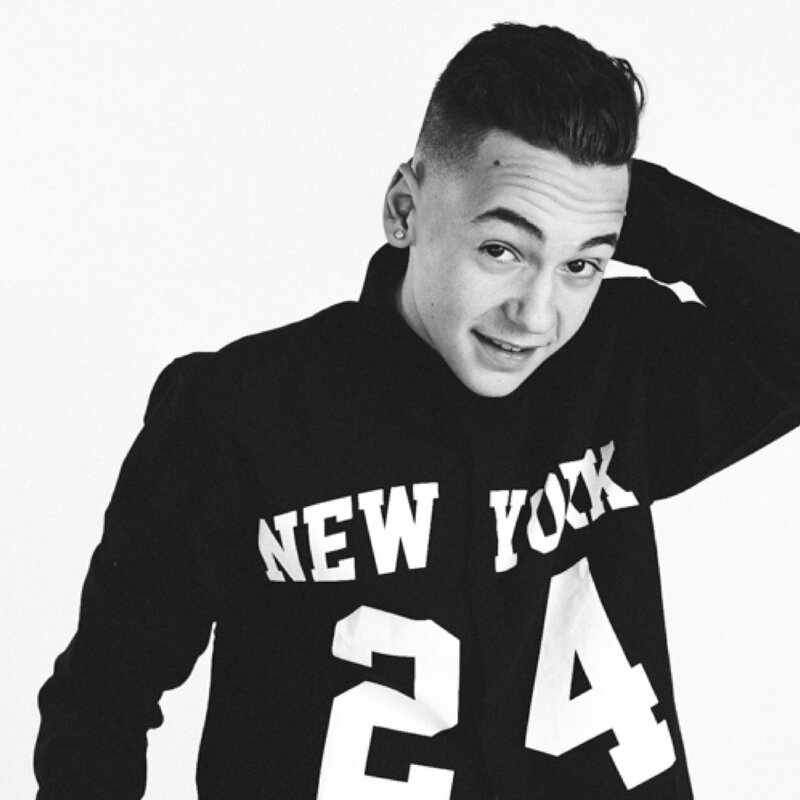 Alex Angelo Plans For Live Stream This Thursday! The awesome Alex Angelo of Radio Disney’s Saturday Night Party is in the process of making plans for another live stream this coming Thursday, November 20th. We’re sure Fangelos are looking forward to this, almost weekly, routine and pretty soon plans will be set. So stay tuned with Alex and TI for any updates on the live stream! 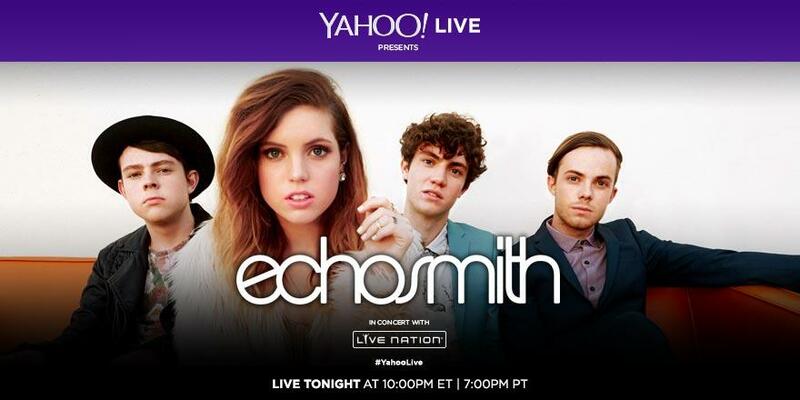 Watch Echosmith Take The Stage LIVE TONIGHT, November 16th! Music sensation, Echosmith, will be taking the stage in Cambridge, MA this evening, November 16th, beginning at 10 p.m. EST/7 p.m. PST! 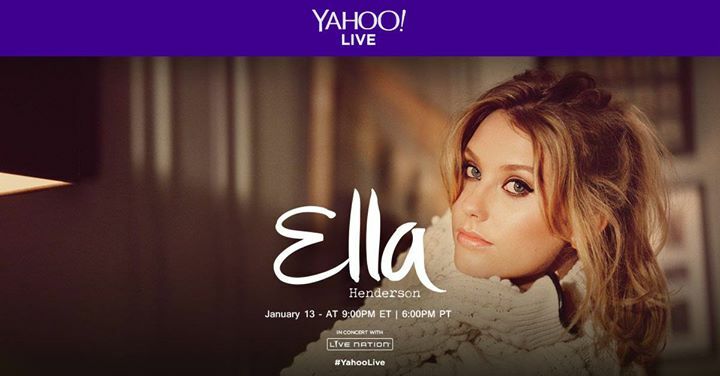 For fans who were unable to grab their tickets for this sold out concert, Yahoo Screen will be showing a live stream of the performance for fans everywhere which you can view by heading HERE. So, grab your best snacks, beverages and comfy chair and get ready for a great concert by “Cool Kids” music group, Echosmith! One Direction Talks Music, New Album & More In #1DFourHangout Live Stream! The guys of One Direction – Harry, Liam, Louis, Niall and Zayn – hosted an awesome live stream hangout today where the guys chatted about their start on The X Factor UK, their music, their new album and the band’s future. The hangout, 1D Four Hangout, was held in celebration of the upcoming release of their fourth and latest album titled Four. In case you missed One Direction’s live stream from today, be sure to check out everything they had to say by watching the video below and let us know what you think by commenting! Kalin & Myles Have A Big HUGE Announcement — What Is It? August 4th is a pretty fun day tomorrow for Kalin & Myles. The duo who recently released their album, Chase Dreams, is ready for something more than just the premiere of their “Do My Step” music video. The guys have other plans and a surprise. MONDAY! Do My Step video dropping on Vevo! USTREAM + Big….. HUGE Announcement @ 2p ET!!! 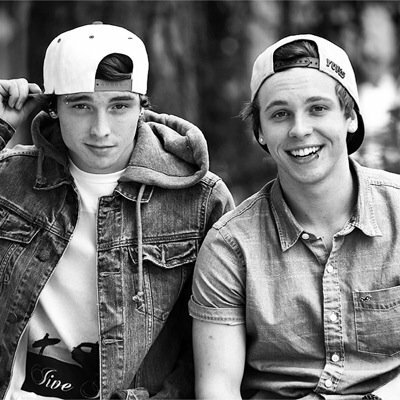 Alongside the video dropping, they’ll be doing a UStream beginning at 2 p.m. EST/11 a.m. PST time, plus a big, HUGE announcement! What is this announcement? Could it be a new song? Tour? Another music video right away? Whatever it is, we can’t wait to see what they have in store for us! Tell us what you think it the announcement could be below! 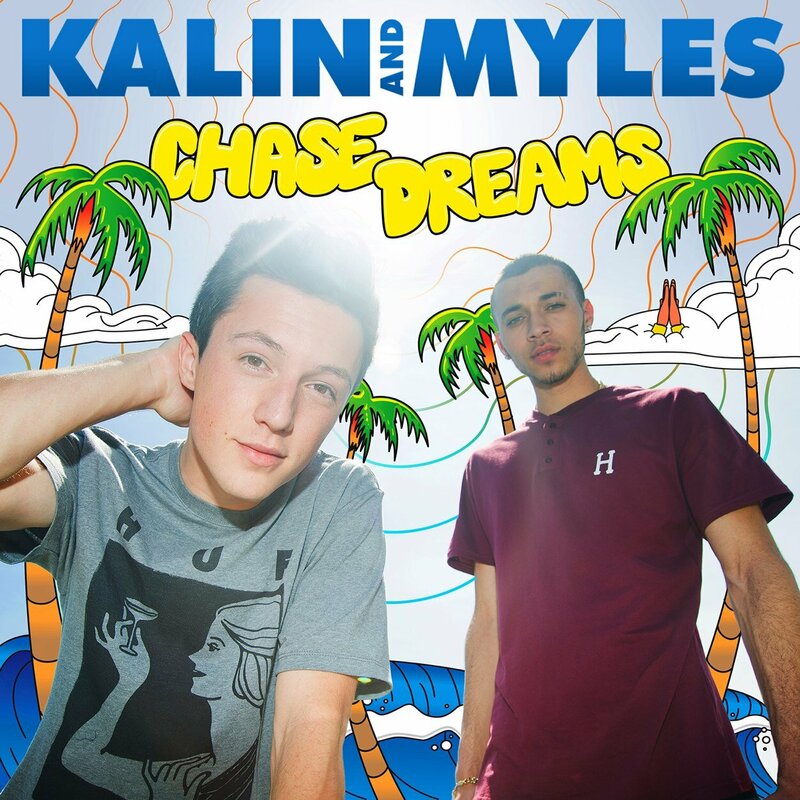 Remember to get your copy of their Chase Dreams album out now on iTunes! Watch Carly Rose Sonenclar Stream Her StageIt Show Live — Details Here! Tonight at 6 p.m. EST/3 p.m. PST, upcoming music artist Carly Rose Sonenclar will be singing in front of a live virtual audience on StageIt. 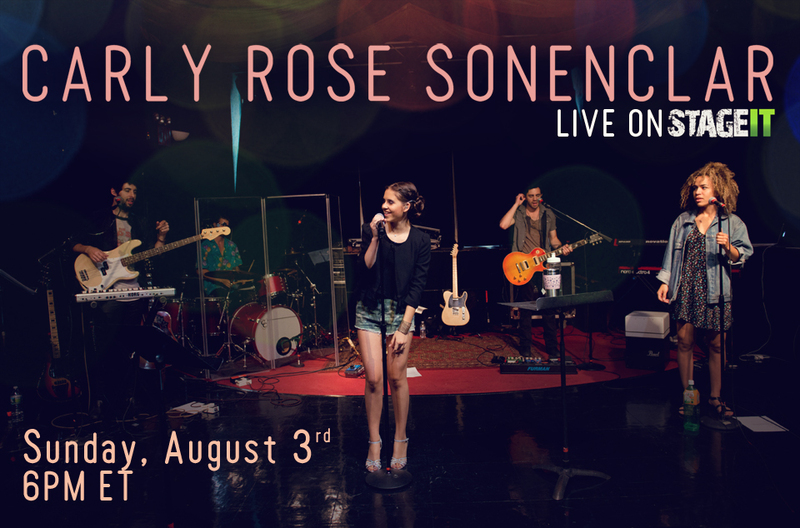 Ready to premiere new original songs, Carly Rose is ready to go live with a full band and sing her beautiful heart out! You can catch this live performance this evening (August 3rd)! For the live stream and ticketing information, please click here! Watch Total Access Live! With Radio Disney TODAY! 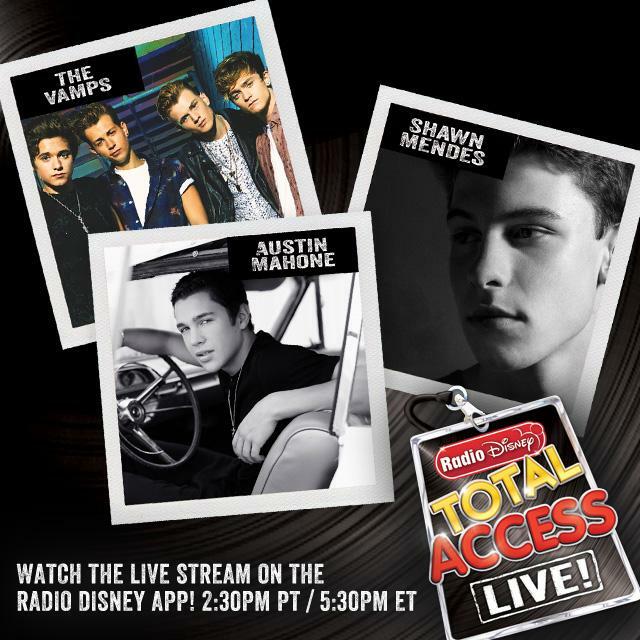 Today (July 30th) is the day you’ll be able to get Total Access Live! with Radio Disney! Beginning at 5:30 p.m. EST/2:30 p.m. PST, Radio Disney will be chilling with your favorite artists that include Austin Mahone, The Vamps and up-and-coming artist, Shawn Mendes! Get ready to head onto your Radio Disney app to join in on the live stream fun! Not only will they be chatting the guys up, but RD is going to make sure any questions you sent in via Twitter are asked and answered! Are you ready for the live stream?